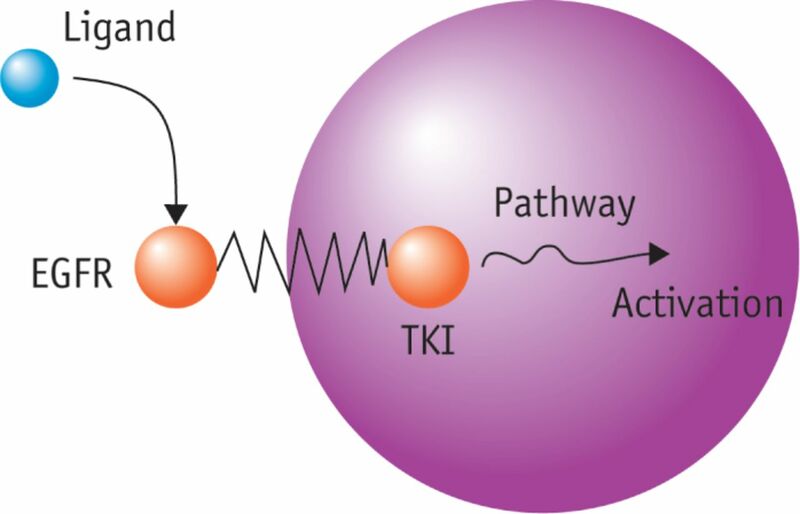 Epidermal growth factor receptor (EGFR), the intracellular tyrosine kinase (TKI) and the following intracellular pathways. Vascular endothelial growth factor (VEGF) can bind to the appropriate receptor leading to vascular proliferation. 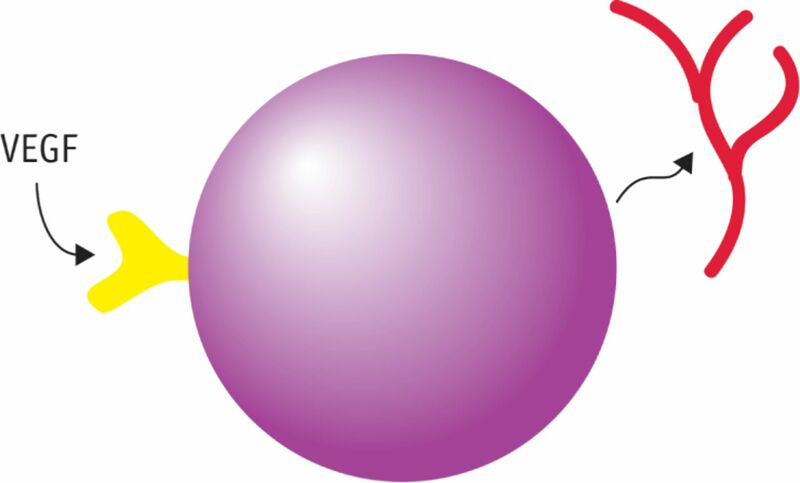 The fusion of the EML4 and ALK genes leads to a fusion oncogene. 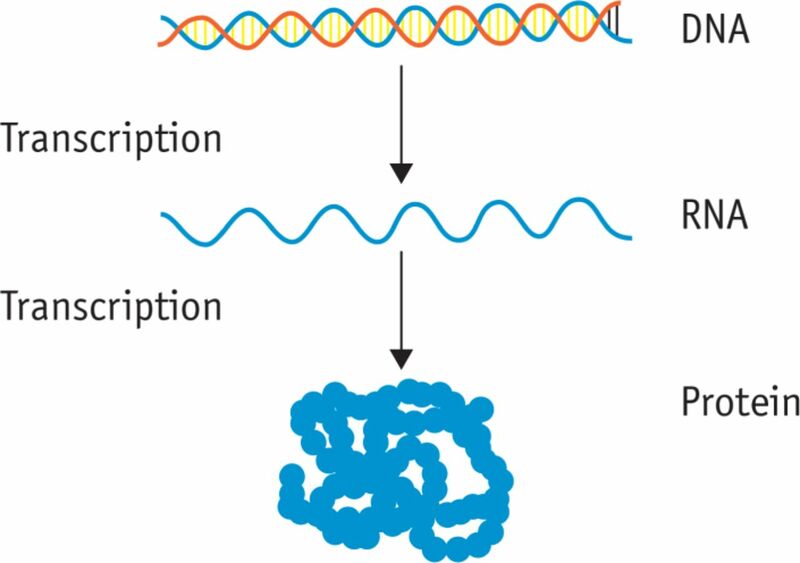 DNA is transcribed to RNA, this can then be translated to proteins. With the help of DNA sequencing, variations can be identified. 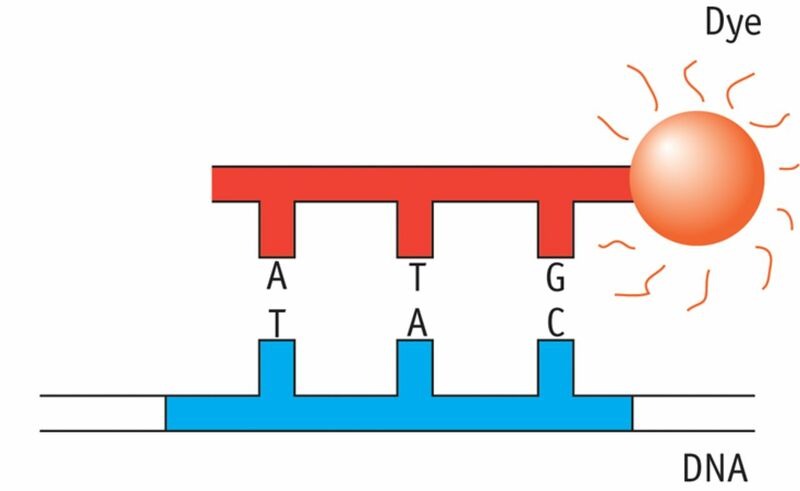 A complementary DNA is labelled with a fluorescent dye and allowed to bind to a specific sequence on the DNA. 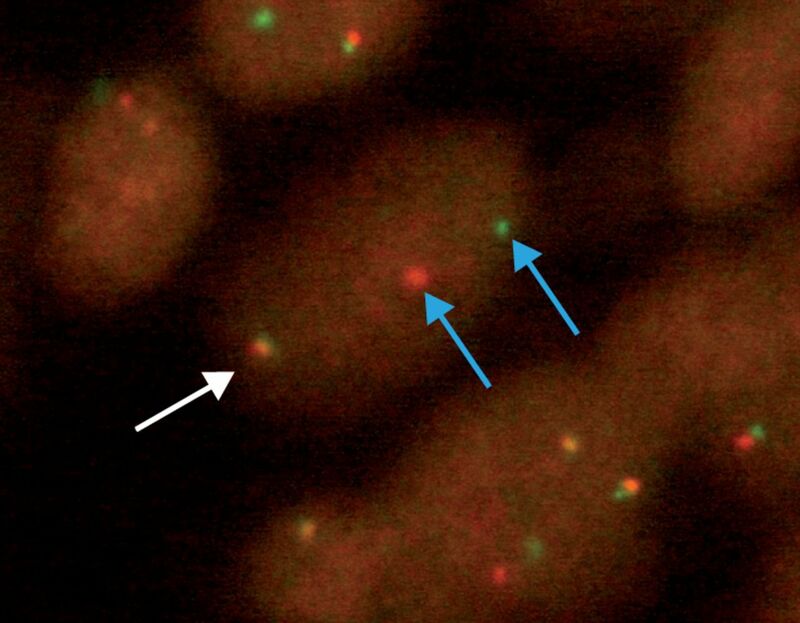 The fluorescence in situ hybridisation image shows ALK gene (red represents the telomer side of the ALK gene, whereas green represents the centromere side). 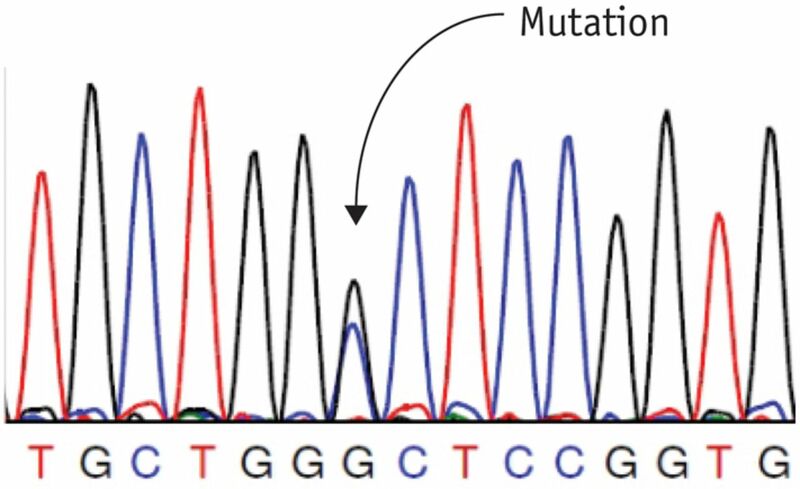 The white arrow shows the genes in the same location (wild-type), the blue arrows show separated signals after mutation (inversion) of the gene. Immunohistochemistry; with the help of labelled antibodies (Ab) the expression of receptors and proteins can be visualised. 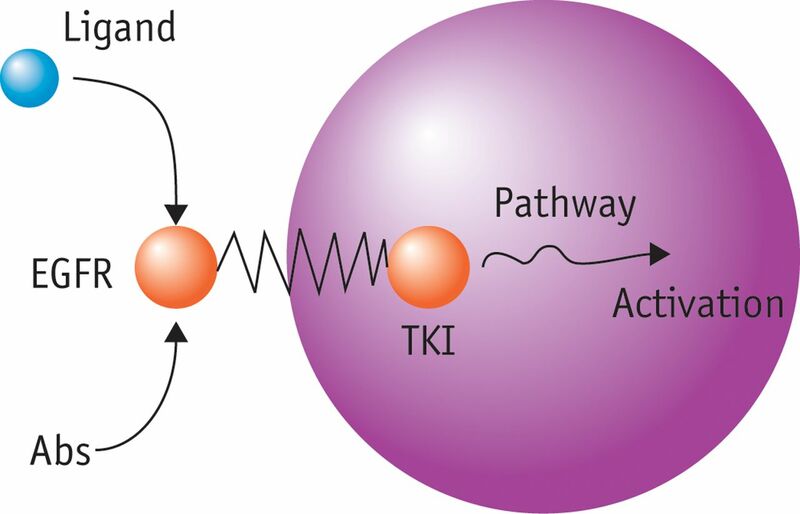 Antibodies and tyrosine kinase inhibitors (TKI) can inhibit signal transduction from the extracellular environment to intracellular pathways. 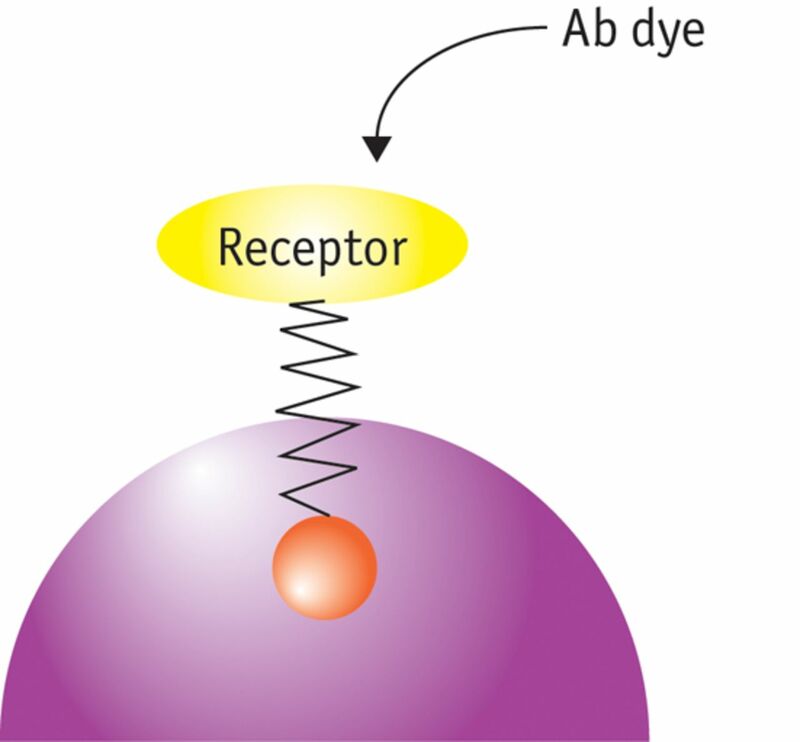 Ab: antibody; EGFR: epidermal growth factor receptor. Molecular testing and targeted agents can now be incorporated into first-line treatment of advanced-stage lung cancer patients. 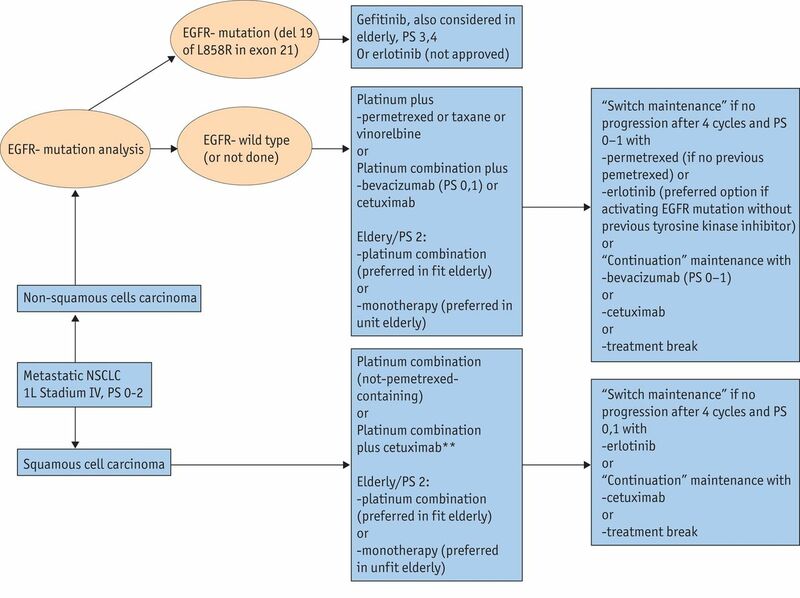 EGFR: epidermal growth factor receptor; PS: performance status; NSCLC: non-small cell lung cancer.